Release Magazine is an official partner for the global Unsigned Music Competition, based in Nashville, USA. 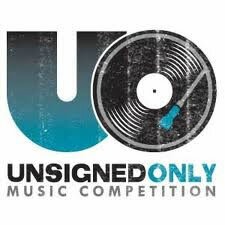 The team behind Unsigned Only also runs the International Songwriting Competition (ISC). Unsigned Only is open for artists from all over the world who are not connected to a major label. It appears, being signed to or distributed to an independent label is OK. Anyone can enter the contest by a number of ways, even linking to to MySpace. Among the high-profile judges we find Robert Smith from The Cure, Cindy Lauper and Steve Lillywhite, who has produced artists like Simple Minds, U2, Talking Heads and Morrissey. The deadline is April 11 and the winners will be announced in July. The Grand Prize Winner will get $5,000 in cash plus additional prizes and “one-on-one mentoring by an elite group of record company executives”. First and second prize winners will also be picked in a number of genre categories.